Though the meal is sickening to everyone, Jamie and Cara Maria finish in decent time. Jenna, of course, gets tripped up here, because she's such a picky eater! After time expires on this stage, Cory and Mitch end up with a 10 minute penalty, and Jenna and Brianna get a 30 minute penalty. The teams then ride over to the train station, which is super creepy and looks abandoned. They see that in the third stage, Train Delay. there is no real train coming at all! For the rest of the night, each player must stand in their designated spots and hold their briefcases. If one member wants a nap, you have to give up give your briefcase to your partner and lay on the bench, which is old and rickety. For every minute a briefcase touches the ground, there is a time penalty. It's absolutely cold and miserable! At 7:00 AM, TJ comes in to get the teams, apologizing that the "train was cancelled." At that moment though, an actual transit worker comes over and kicks everybody out! It's revealed that no one got a time penalty for this stage, and the limo drives the teams over to the next stage. 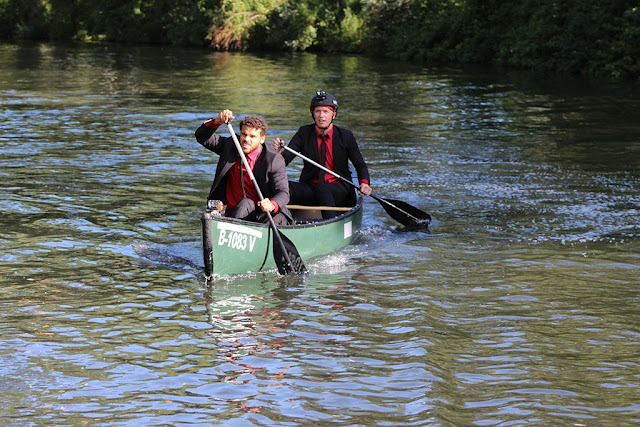 In Stage 4, Row Hard, TJ announces that the teams have to row 10 miles up the Spree River in canoes! Cara Maria and Jamie book it down this river, while Brianna and Jenna really struggle. The two of them even get stuck in a tree for a minute! Looks like that lead from the beginning of the final is pretty much shot.Cara and Jamie finish this stage first, Cory and Mitch second, and Brianna and Jenna eventually brings up the rear in third. For the fifth and final stage, Coded Entrance, the teams are brought to Berlin's historic Olympic Stadium. 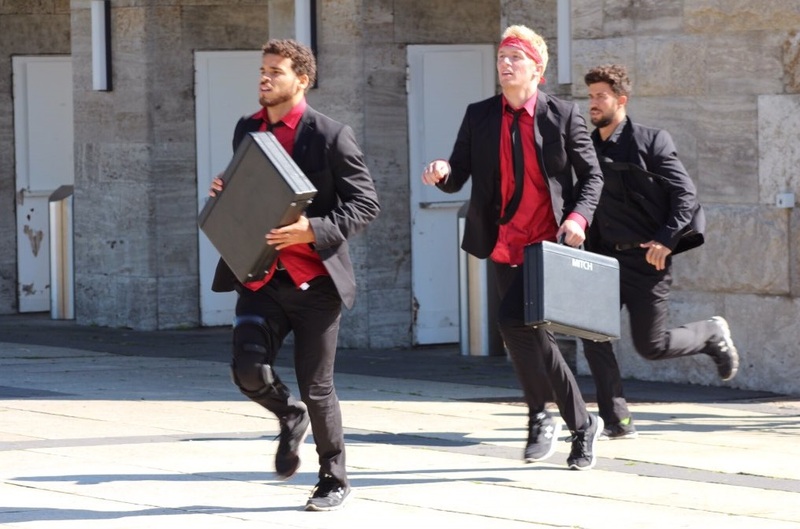 They have to solve a puzzle to get into the stadium, with all of the pieces of the puzzle in their briefcases. 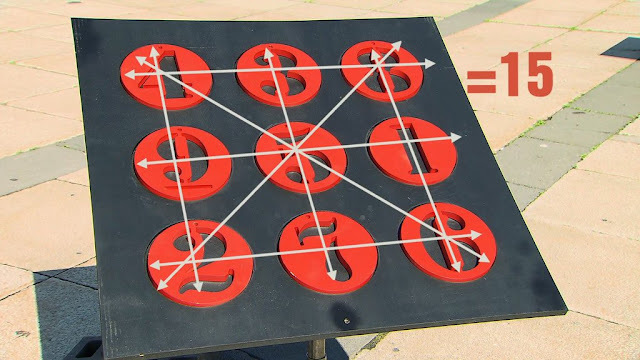 After they solve the puzzle, they then have to run eight laps around the track, and their times will be stopped. The times from all of the stages will then be added together to determine the winners! With this puzzle, every row, diagonal, horizontal, and vertical, needs to come to the same number when added up. It's like a little more complicated version of Sudoku! Everyone is exhausted and struggle to think While the other teams struggle to finish, Cory and Mitch figure out their puzzle first, and this is where they can catch up! Cory and Mitch end up finishing their laps before the other teams even get down there! Cara Maria and Jamie eventually finish, and Jenna and Brianna's time ends up just expiring. Each team finishes their laps, but it all comes down to the total time over all five stages! Literally, it's anyone's game right now. At the end of the episode, TJ reveals the winners! Third place goes to Jenna and Brianna, who take home $25,000. Though they didn't win, it's a redeeming moment for Jenna because she didn't quit this time! Cory and Mitch take home second, winning $75,000, meaning that first place grand prize of $250,000 goes to Cara Maria and Jamie! Though I wasn't rooting for her at first, I do believe that Cara is deserving of the win. She put in work this season, and many before, and has never won before, so it was good to see her take home the money. This was a GREAT season of The Challenge! I've been watching for a long time, and this is definitely one of my favorite seasons! I hope that MTV brings the Bloodlines format back in the future! 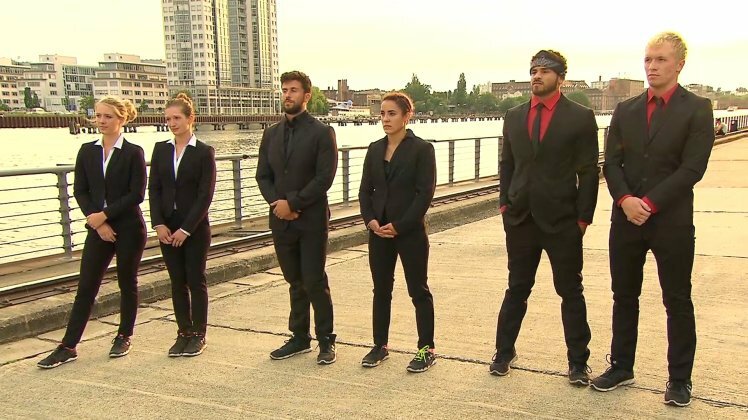 The next season of The Challenge begins in May, and it's Rivals 3! Only this time, the Rivals will be boy/girl teams, which is definitely going to be A LOT of drama! I'll definitely be recapping!